Italy is a whole new world, one where you can easily drown in wine, gelato and the melodic sounds of Italian answers to your English questions. Based on my six months of living in Italy, as well as 10+ trips to different parts of the country, I’ve come up with some tips to make your trip to Italy easier (although they might also rob you of ridiculous stories that could one day become conversation starters at parties). 1. Italy welcomes millions of tourists every year, but don’t expect Italians to speak English. Before you go, it’s well worth jotting down some useful phrases in Italian. Italians are genuinely flattered when a foreign visitor makes an effort to speak their language, and will open their hearts to you. 2. 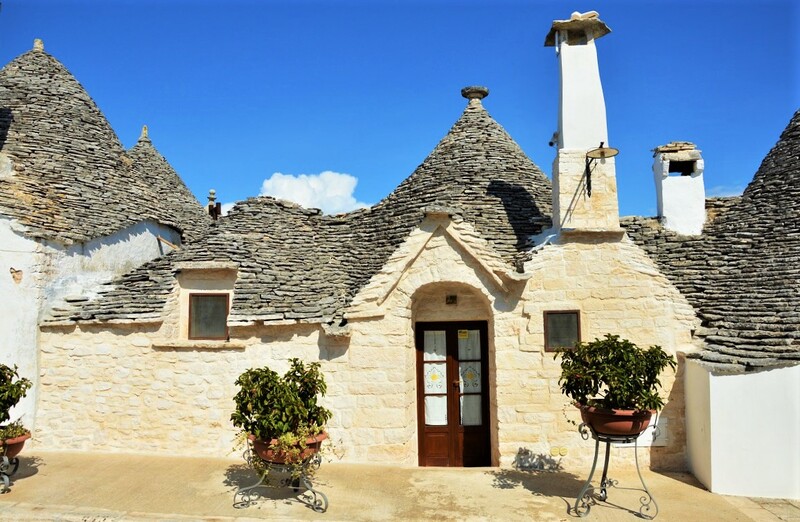 If you stay long-term in Italy, you’ll need a personal tax code (called a codice fiscale, something like social security number in the USA) to get access to various services, or to rent an apartment. 3. August is the worst month to visit Italy (especially after August 15) because all Italians take their vacations at that time – the roads are jam-packed, many places are closed and the beaches are crowded. 4. In many parts of Italy, regional trains (treni regionali) don’t run on Sundays. This inconvenience is usually partially covered by a local bus that stops at each town on the route (but not always at the railway station – don’t forget to ask for the actual location). So if you have to head somewhere on a Sunday, plan carefully! 5. You’ll want to take photos all the time, so getting a second memory card and a back-up battery pack for your camera is a really good idea. 6. When visiting a world-famous attraction, buy your tickets in advance if possible. Leonardo’s Last Supper in Milan, for example, can be visited only with a reservation, and tickets sell out months in advance. 7. Bring comfortable shoes. Italy’s big cities require a lot of walking to get from one attraction to the next, while in small towns streets are often made from cobblestones and are not high heel-friendly. 8. Even if you don’t have much time, spend at least one night in a small, non-touristy town. Your hallowed status as a foreigner will guarantee you a warm welcome from the locals and a deep, genuine sense of communication that is hard to achieve in the big tourist centers. 9. Most shops, supermarkets and restaurants close between 1 pm and 5 pm. On Sundays they are closed all day. My first Sunday in Italy, in a small provincial town, was marked by hunger and desperate roaming around the city in search of somewhere to buy food. I found nothing. In the end, I had two spoons of sugar (the only edible product at home) until one bar finally opened its doors at 3 pm and I filled my kitchen with croissants. A proverb many travelers swear by! 10. If you eat at a restaurant, you may find two add-ons on your bill – service and coperto (cover charge). They are usually a fixed sum per person. The only region where coperto is illegal is Lazio, which includes Rome. 11. Choosing a small, family-run restaurant or trattoria two blocks away from the tourist area is the best idea 99% of the time. 12. You will recognize good gelato by its bland colors. They don’t put artificial colors or flavors in quality Italian ice-cream. That’s why banana gelato will usually look grayish rather than bright yellow. 13. If you want to try having your morning coffee the Italian way, order an espresso at the bar, gulp it down while you stand and exchange some gossip with the bartender. There’s no sitting at a table or leisurely sipping here. 14. Don’t ask for ketchup or mayo on your pizza. It is considered rude to the cook and a demonstration of bad taste. You’ll be happy to discover that Italian pizzas don’t actually need anything more. 15. Plan a visit to a food market. Most cities and towns have a weekly/monthly farmer’s market (ask at your hotel when and where it takes place) where vendors will be happy to offer you free samples of cheese, olives, bread and cookies. It is usually acceptable to bargain at these markets, especially if you plan to buy in bulk. 16. A typical Italian meal consists of antipasto, primo, secondo, contorno and dolce (appetizer, first and second courses, side dish and dessert). Italians seem to have no problem swallowing this glut of food, while a foreigner trying to compete with them will most probably be sweating and having trouble breathing by the time the tiramisu is served. 17. Dolce far niente (literally translated as ‘sweet doing nothing’) is the Italian concept of not hurrying, not taking anything personally, taking your time and enjoying life. It’s one of the best things you can learn from your trip to Italy. 18. Let yourself fall in love with an Italian girl/boy. Because what would a holiday to Italy be without a touch of romance? 19. 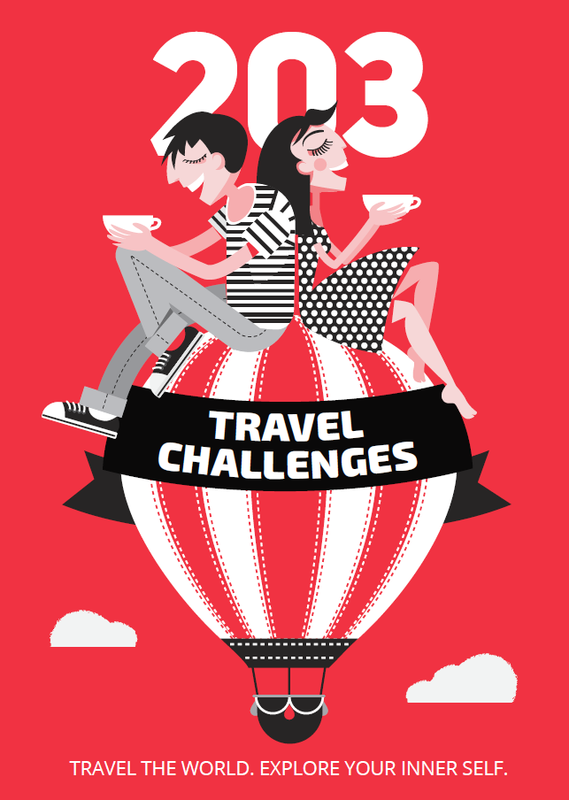 Italians are famous for their transportation strikes, so allow for a few extra hours when you head to the airport. 20. Try hitchhiking in Italy. The last time I did it in Sicily, I was picked up by two lemon-growing workers who took me and my friend to the beach, even though they were not going in that direction. They were so nice that they even offered to come back later and take us to the town where we were staying. 21. It’s no use arguing with Italians about whether they did or did not invent pizza, pasta, football or fashion… Facts are powerless when it comes to national pride. Just enjoy the delight on their faces when you agree that Italy is the best country in the world! 22. 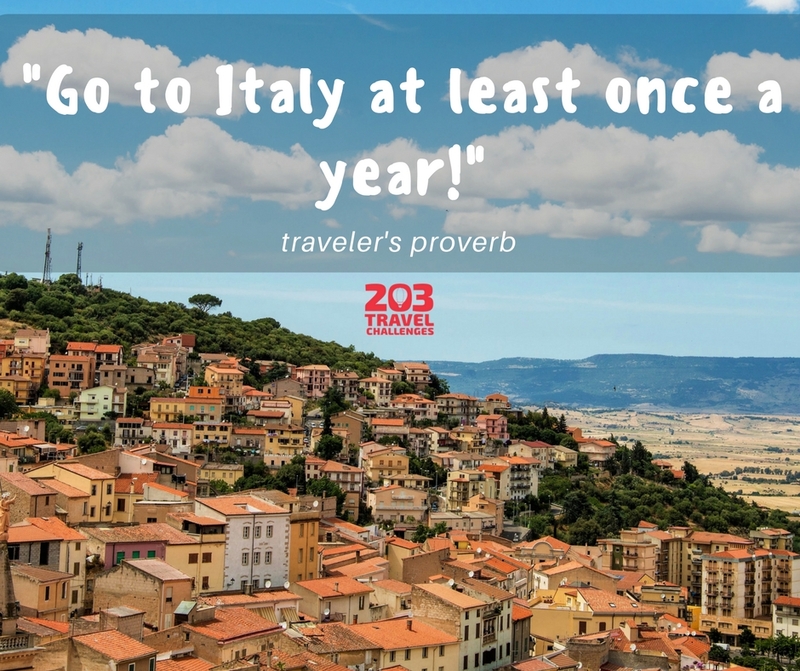 Or simply forget everything and follow the wise man’s advice: visit Italy at least once a year! I recently went on a road trip through Italy and I must say these are great tips. I love Italy and I wish it was possible to go there every year. I love your advice to get out into the country side or at least a couple of blocks away from the tourist attractions for dinner. I have always wanted to get an apartment in Italy for an extended stay so I’ll have to check and see if I’ll need a tax code to complete that transaction. This was an informative and well paced article. As a student of tax law in Canada, I find it very interesting that you would need a personal tax code, akin to a SIN in Italy, if you’re staying long-term. I did consider staying long-term and renting a place somewhere, so this was a good heads up. Ahhh Italy, “Io amo l’Italia!” I would love to get back there for an extended period and these are wonderful tips for that! Thanks for sharing. These are all really great tips! I’ve only visited Italy once but my partner has been a few times. If we ever plan on staying there long term these are great to know, thanks for sharing! 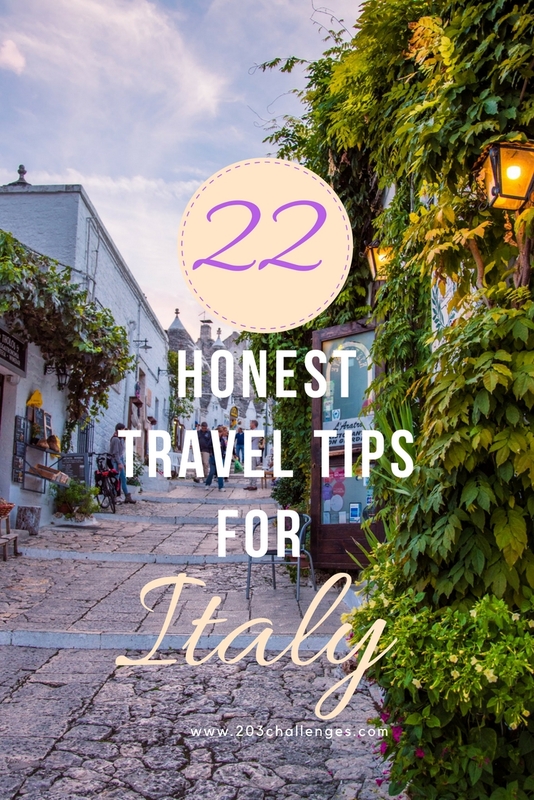 So many wonderful tips here and as a regular visitor to Italy I agree with so many of them. It’s so hot in August too, isn’t it. Best to avoid altogether if possible. It’s a wonderful place to visit and your tips will help first timers immensely. Some great tips here. A few are very “European”, not just for Italy I say; similar to those cultural differences/quirks I uncovered living in Spain. I totally agree on never travelling in August. It is WAY too busy and super hot and Sundays really aren’t good travel days but I do love that about Italy. Sundays are relaxing days. Fab list. All very good point! I almost missed visiting The Last Supper bu thankfully we got tickets last minute due to being a student at the time. It was an amazing experience and definitely worth buying the tickets in advance and scheduling around it. I think I left my heart in Italy and can’t wait to go back. Would definitely love to return at least once a year! These are all great tips, I really had no idea about any of this so this definitely helps me a lot if I ever find my way to Italy (which I most likely will). I am surprised to hear so many shops and restaurants close so early! So good to know since I sometimes eat late after exploring. I can’t wait to visit Italy. Thank you for sharing your tips! The tips are very specific and best describes the culture of Italy. All the tips are worth remembering and are useful when you are in Italy. Thanks for the blog. Good tips all around, except… things are actually now open on a Sunday, supermarkets especially. Even in some smallish towns. Nobody in Italy has antipasto, primo, secondo, contorno e dolce!!! And even if we did, the amount of food would be less than what I got served in the USA when I asked for one burger with fries in a restaurant. But nobody has all these things together, unless is a wedding or some other celebration..
And coperto is now not included anymore, it used to mean that you’d have endless bread started to be brought automatically to your table from the moment you sat down. Now you have to ask for bread. Last but not lease, I wouldn’t hitchhike in Italy if it’s the last thing I do!! Hey Elisa, thanks for the updates! The last time I had coperto on my bill was in Venice – maybe it’s still available only in tourist sites?